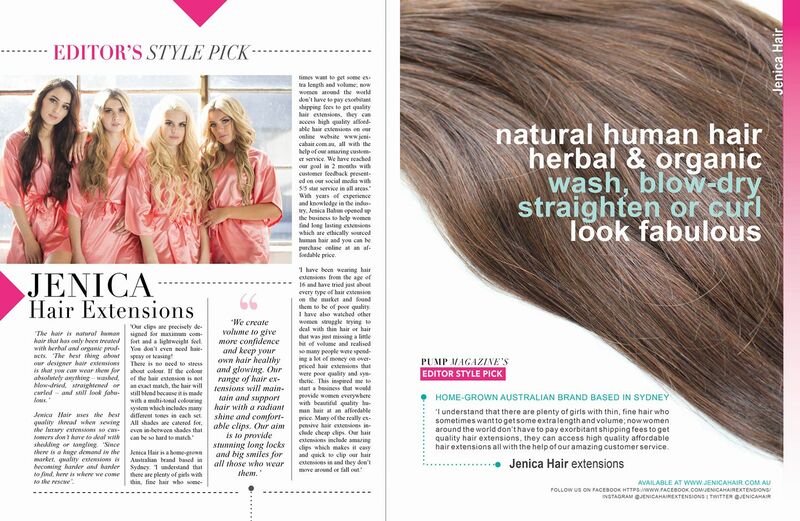 Jenica Hair Extensions featured in PUMP Magazine In America. Get your April issue this month! Pump launched in December 2013 and is a Fashion Lifestyle Magazine. At PUMP Magazine, they strive to showcase excellence, beauty, divinity, and unique one-of-a-kind fashion lifestyle content on an international platform in over 40 countries. They have created one of the fastest growing publications.